Emus4u is a third-party app installer available only for iOS, although you will get a whole series of apps and games on App Store, it is quite different from them. Let’s get to know how to download it, what is it, how it is different from App Store, and what are the special feature makes it distinguishable from App Store. Downloading Emus4u is as easy as any other apps, simply follow the instructions given in the above link to get it installed on your iPhone or iPad. It is an application software based on Apple Configuration Profile, which means it is an XML file that distributes the configuration information to the iOS and Mac OS. When a configuration profile distributes to the devices it needs to trust the Certificate by the user. The configuration profile is capable to configure a large number of devices with deploying the settings of an Apple device. 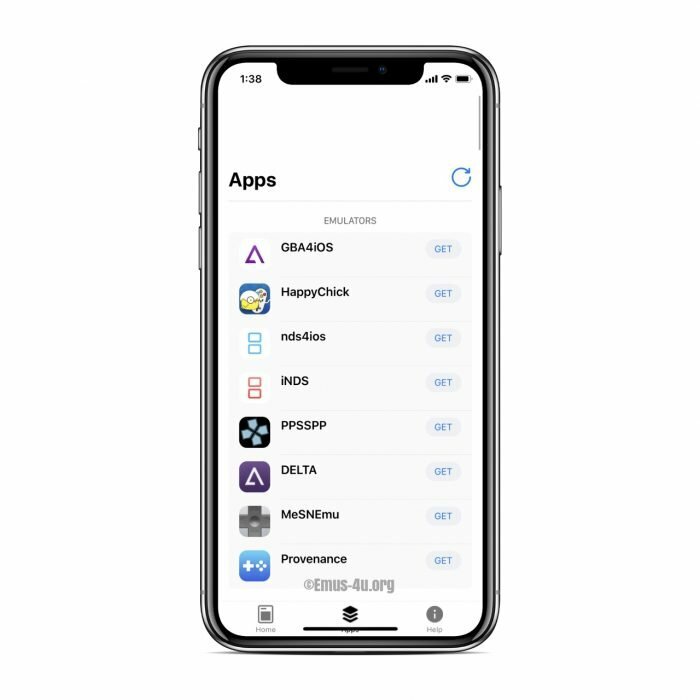 The configuration profile is the only way to make third-party apps working on iOS devices without Apple developer account permission or even without requiring the Apple ID. If you are an iOS user for a long time, must be aware of Cydia. Basically, Cydia is an application store which provides you the large number of apps and games that are not available on App Store. To get Cydia access on your device you must get a jailbreak for it and jailbreak tools are no more available with the latest iOS firmware. As you cannot get a jailbreak for your device and need to customize your device as the Android user gets to do, only options left for you find a third-party app installer and it is one of them which provides you even the paid apps for free. It provides the flexibility of the users who are installing it in their device. We are describing below the best of its’ features for the user. No need your Apple ID. No need to get a jailbreak. All the contents are updated regularly. Get for free the paid apps. Availability of customized apps and games. If you are having issues on the Configuration Profile then go to the Help to get it fixed for you. Does it work on iPhone and iPad? Ans: Yes, it works for both the iPhone and iPad. Ans: No, this application store is not available for Android device. How to Fix the Errors? What if the white screen appears when opening the app from the Home Screen? Ans: Restart your device, if the issue persists then remove the existing installed app and install it again. What if the apps are not downloading from the store? Ans: Check your internet connection if it is connected to an active cellular or Wi-Fi. How to fix it, if it gets revoked? Ans: Remove or uninstall it and then installed it again. How to Trust the Configuration Profile Certificate? Ans: Go to Settings > General > Profile and Device Management, tap Trust on the Certificate. The above features might help you to get it installed on your iOS device and Frequently Asked Questions will guide you when you are downloading it.